"Greg's version is always moist, tender, and very tasty. The first thing you smell is the zest from the yuzu, a very nice touch. Then when you eat it, it has a nice, juicy chicken flavor. 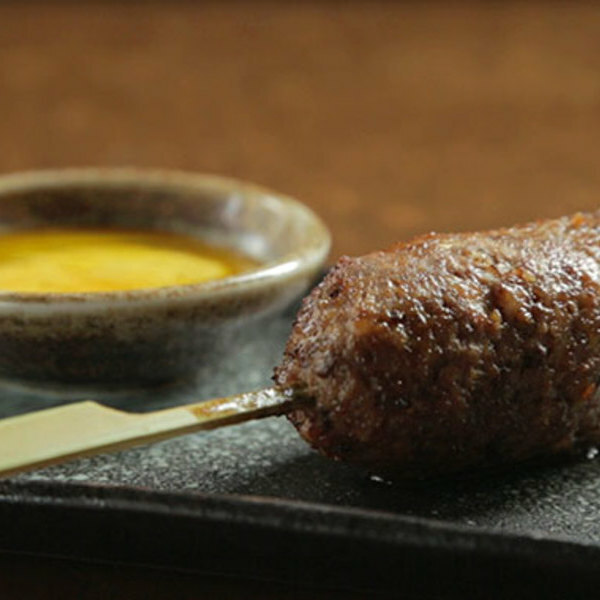 Dipping it in the egg yolk sauce brings out a little nutty character. It's so good paired with shochu."